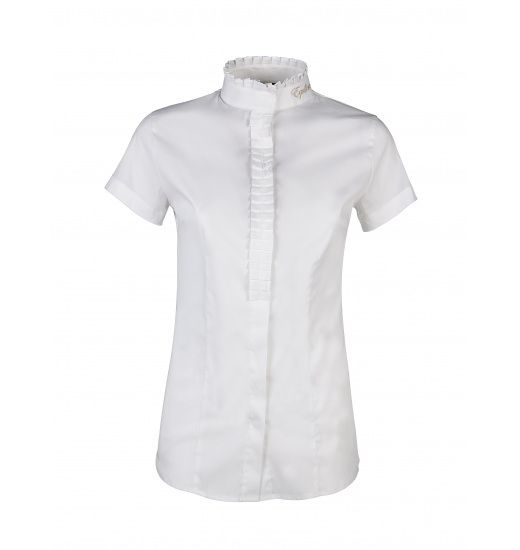 Classic ladies' show shirt Denice. 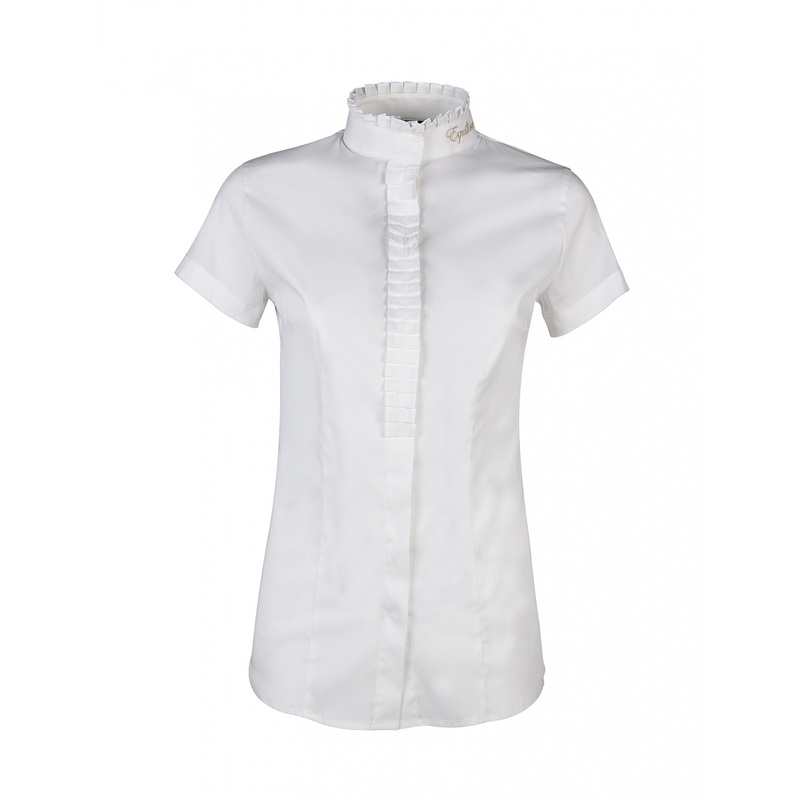 All its elements were made with diligence, the stand-up collar is trimmed with a beautiful flounce. Its huge asset is a plastron that is sewn, as it can replace all additional accessories. 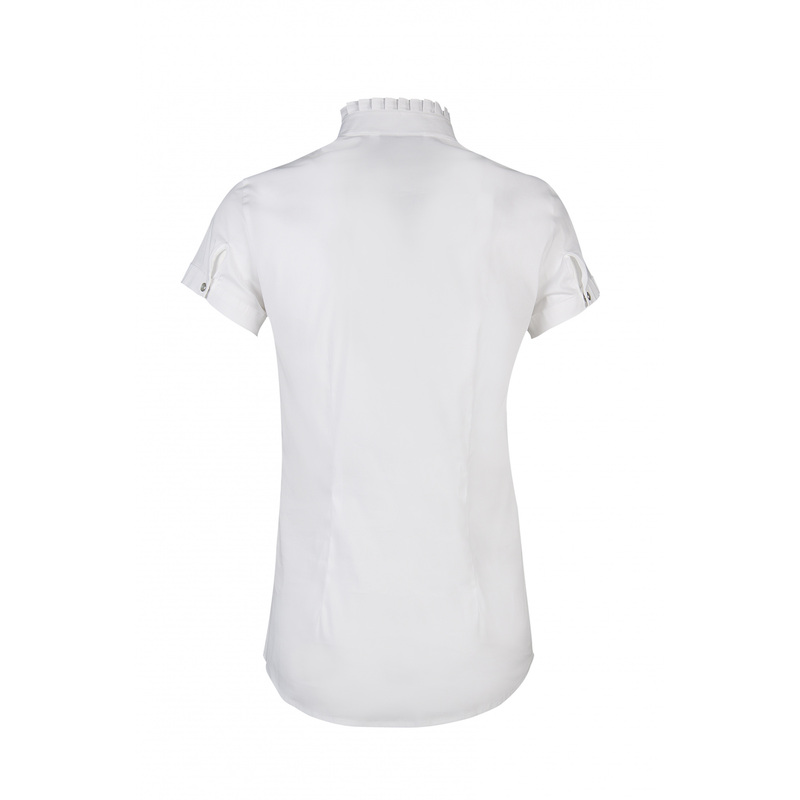 An Equiline writing is embroidered on the side of the neck with a golden thread.